Hello, what a lovely skywatch! Beautiful capture and quote! Happy Friday, enjoy your weekend! Beautiful play of light round the clouds. The crane silhouette adds drama. Quite a beautiful sky backdrop! 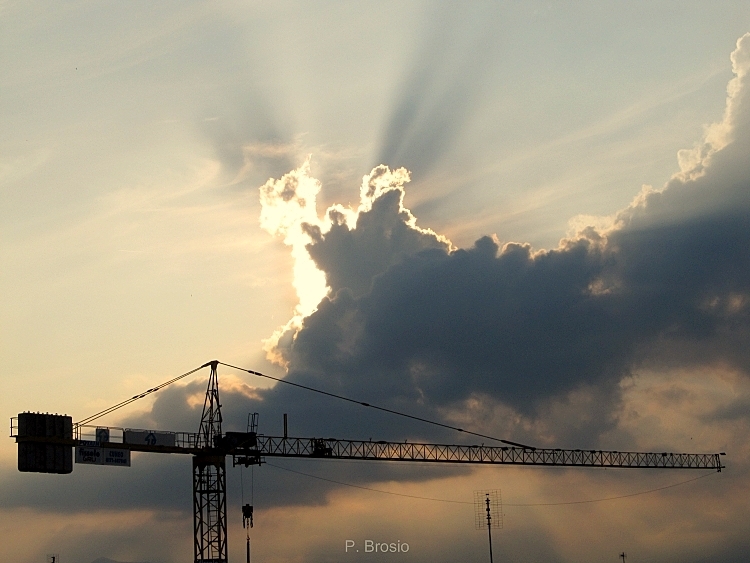 Hi Pietro, I love the photo ... as long as the construction crane isn't for building something that will block your view. :-) The shadows from the cloud are great! Wishing you a fine week ahead! La máquina y el cielo como telón de fondo. Una sugerente y bella fotografía. Gorgeous photo, Pietro! Well done!